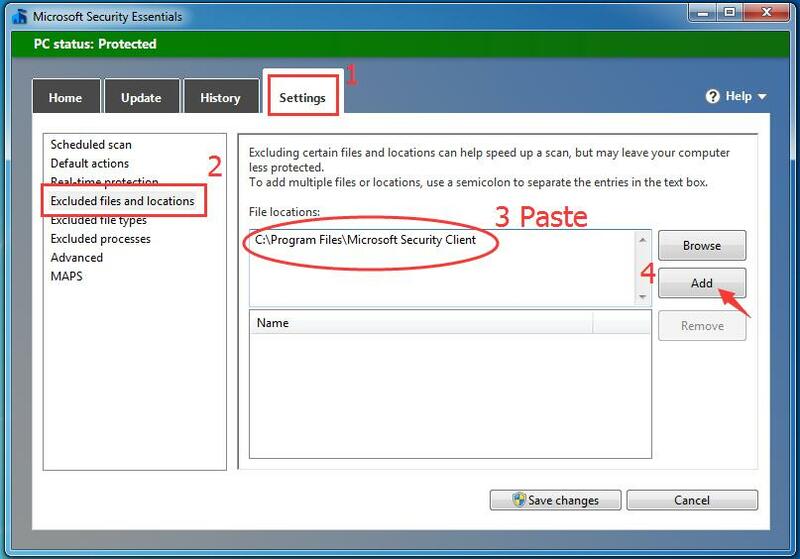 Microsoft Security Essentials (MSE), an antivirus software, protects your Windows 7 against computer viruses, spyware, rootkits, etc. However for some reasons, sometimes it also causes some issue on your Win7. 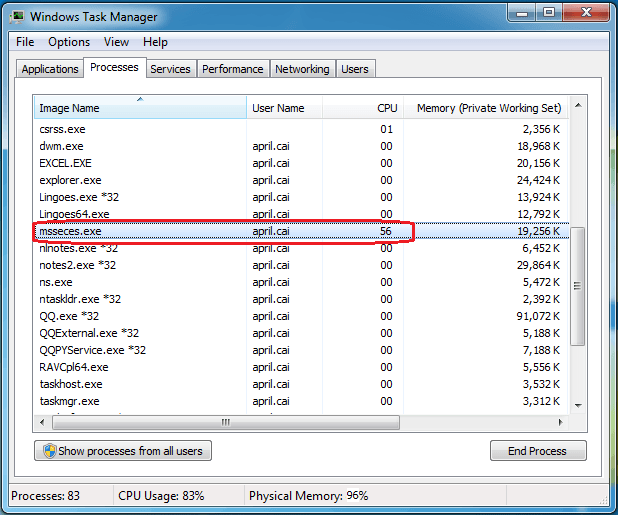 As many users reported, Microsoft Security Essentials causes high disk usage. If it also occurs on your Win7, please stay calm. In this post, we will tell you the effective way to fix it. Please take a few minutes to read on it. 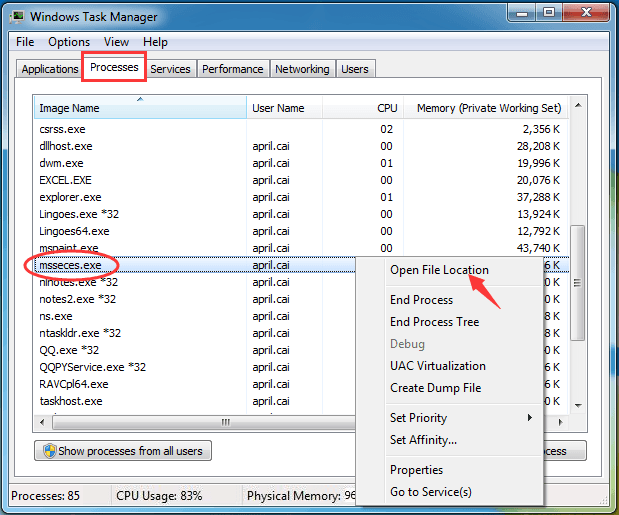 MSE causing high disk usage is mainly due to the not essential process of it — msseces.exe. You could find it shown in Task Manager as image above. No worry. We can add it to MSE exclusion list to fix the problem. To do so, please follow the easy steps with pictures below. Right-click on the blank area of Taskbar. 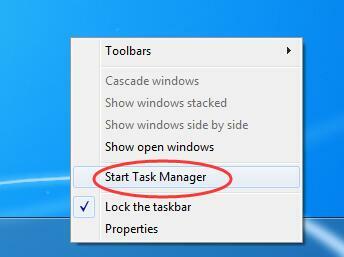 Then click Start Task Manager to open it. Find and right-click on msseces.exe under Processes pane. 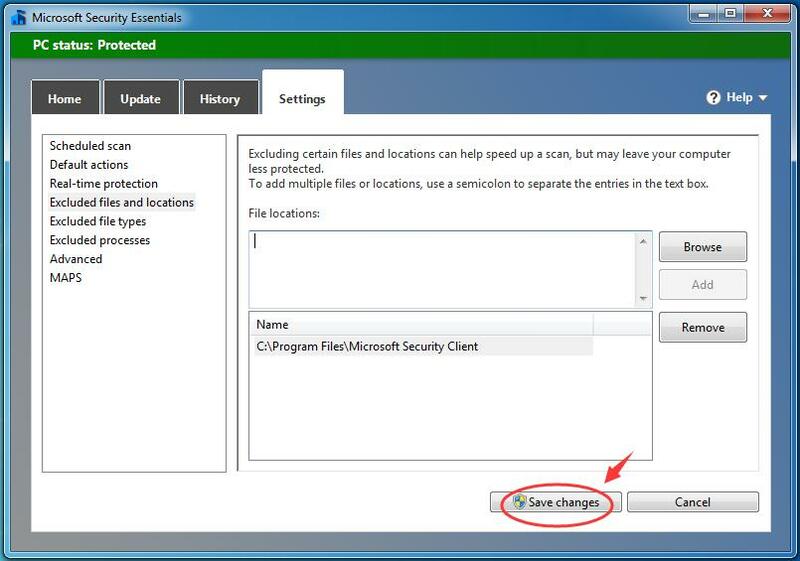 Then choose Open File Location. Right-click on the blank area of Address Bar on the pop-up window. Then choose Copy address as text. Click Settings > Excluded files and locations. 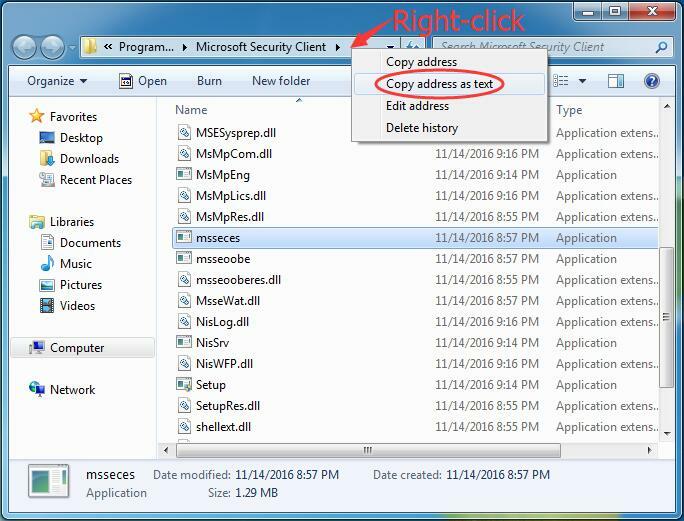 Then paste the address you copied before into the File locations box and click Add. Once you click Add, the location would be moved into Name box. You may find your Windows 7 running more quickly than before now. If you have any questions just feel free to leave comments below. thanks.